4-Word Review: Dead child haunts house. 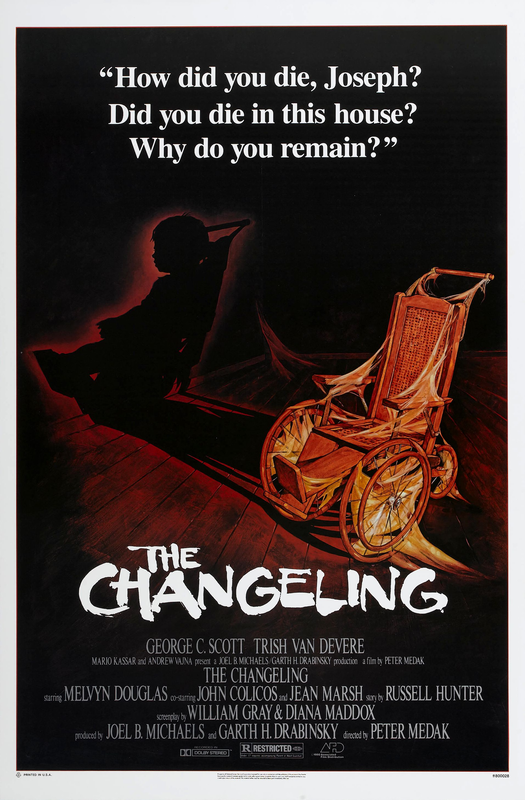 Still grieving from the sudden loss of his family in a freak accident composer John Russell (George C. Scott) decides to move to the Pacific Northwest where he finds a large stately mansion to move into. He feels it would be the perfect place to reflect and continue with his work, but instead realizes that it is haunted by a child who was murdered there years earlier. With the help of Claire (Trish Van Devere) who had procured the property for him they investigate its history and find that there is a connection between the killing and an influential senator (Melvyn Douglas). One of the aspects about this film that I did like was that it was given a big budget and the on-location shooting that was done from New York, Seattle and even Toronto gives it a strong visual backdrop and makes it light years ahead of the average horror film that is usually crippled from the start by its meager funding. The mansion is impressive at least the outside of it, which was actually only a façade that was constructed when they couldn’t find a real one to fit their needs. However, the idea that a single man would move into such a large place seems ridiculous and there’s nothing that says ghosts can’t haunt small homes that would be more practical place for one person to live in. Scott gives an unusual performance in that he shows little of a frightened reaction when the scares occur. To some extent I liked this as the screams and shocked expressions in most horror movies become overdone, but when a vision of a ghostly boy appears in a bathtub and all Scott does is calmly back away it seems to be underplaying it a bit too much. 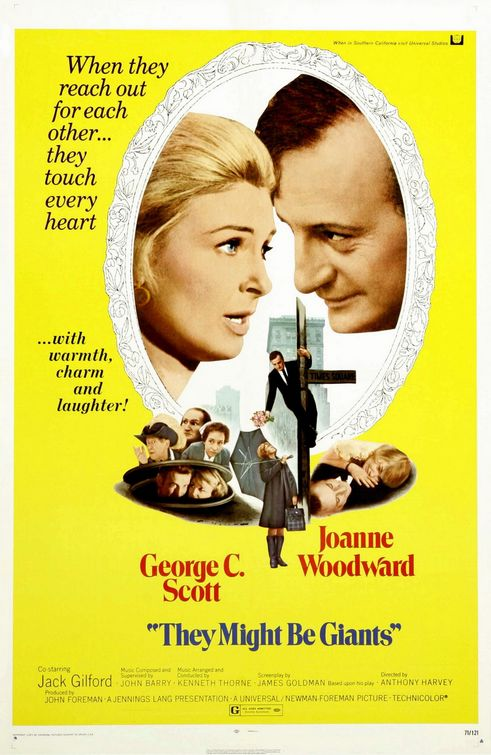 I also felt that Van Devere’s character was unnecessary and was put in only because she was Scott’s real-life wife at the time, but it seemed unrealistic that a real estate agent who was merely an acquaintance to John would get so wrapped up in his quandary or even believe him to begin with. No relationship is ever implied, but it would have made more sense had the character been written in as a girlfriend. I realize there are those that consider this to be a ‘really scary’ movie, but I found it to be pretty flat. The ‘scares’ as it where consist of nothing more than a child’s ball rolling down a staircase twice, whispery voices, a runaway wheelchair and a few doors slamming. There is also a fiery finale that borders on the hooky and a tacky séance and if that is enough to keep you up all night then have at it. The idea that this child, who was sickly and if he died before his 21st birthday the family fortune would go to charity, so the father kills him and has him replaced with another child who later grows into being this powerful aging senator, didn’t make sense in that I didn’t see where the ‘justice’ was in getting back at the senator who had nothing to do with the killing or even knew about it. He was simply an innocent child taken from an orphanage and the product of a nefarious scheme by the father, so why not go after the dead soul of the murdering father and leave the senator alone? The senator dies from a heart attack that we are lead to believe was caused by the ghostly presence of the angry child, which to some extent makes the protagonists look like the bad guys since they were the ones that precipitated the meeting that lead to the death and instead should’ve tried to prevent it. I was also confused by the whole backstory about John’s family being killed in a roadside accident that begins the movie since it really didn’t have much to do with the main plot and could’ve easily been left out completely. I first saw this film over 20 years ago and wasn’t all that impressed with it then and I’m still not. I realize it has its legion of fans, but to me it’s just an average ghost story and far from being a classic. 4-Word Review: He thinks he’s Holmes. After the death of his wife Justin Playfair (George C. Scott) starts to think he is Sherlock Holmes and begins playing the part by smoking a pipe, wearing a deerstalker cap and playing a violin. His brother Blevins (Lester Rawlins) feels he needs to be institutionalized and hires a psychiatrist named Dr. Watson (Joanne Woodward) to analyze him. Watson finds Justin’s fantasy role-playing to be intriguing and reluctantly begins following him around on his fanciful jaunts to find clues from the evil Professor Moriarty and eventually the two begin a quirky romance. The film, based on a play written by James Goldman, starts out with some potential. The musical score by John Barry has an interesting ominous quality to it. The idea of pitting the practical minded Dr. against the fanciful Playfair is initially engaging. Watching Woodward getting more and more exacerbated by Scott’s constant whims of fancy and refusal to ever to see reality is funny and lightly satirical. The film though drops off terribly when Watson loses all judgment and falls in love with the man despite the knowledge that he is clearly mentally ill. Watching the two frolic through New York City searching for meaningless clues to a mystery that doesn’t really exist makes the film pointless as well as losing all tension, momentum and plot. Having her fall in love with him at the very end might have worked, but having this otherwise sensible and intelligent woman get sucked into Playfair’s fantasy world so quickly is jarring and unbelievable. What is worse is that initially Playfair seems to be working on a real case and there is even a scene where he gets shot at, but then this side-story is frustratingly dropped without any explanation or conclusion. Scott is in top form and this is an interesting follow-up to his Patton role that he did just before this. Woodward though steals it. She has never done much comedy in her career, but proves to be quite adept to it here. One of the funniest scenes has her trying feebly to cook a meal for Playfair in her cramped apartment despite having no skill at it. Anthony Harvey’s direction is okay. I liked the way he captures the downtown streets of Manhattan during the rain. However, the film’s most interesting segment takes place in an all-night grocery store where over a loudspeaker are announcements of great sales and deals despite the fact that there are no customers. Eventually a police chase takes place inside there, which ends up being genuinely amusing on a silly level. The vague wide-open ending cements this as being a complete waste of time and makes the whole thing a big build up to nothing. I realize that this is intended to be whimsical, but even then there needs to be some grounding and this film has none.